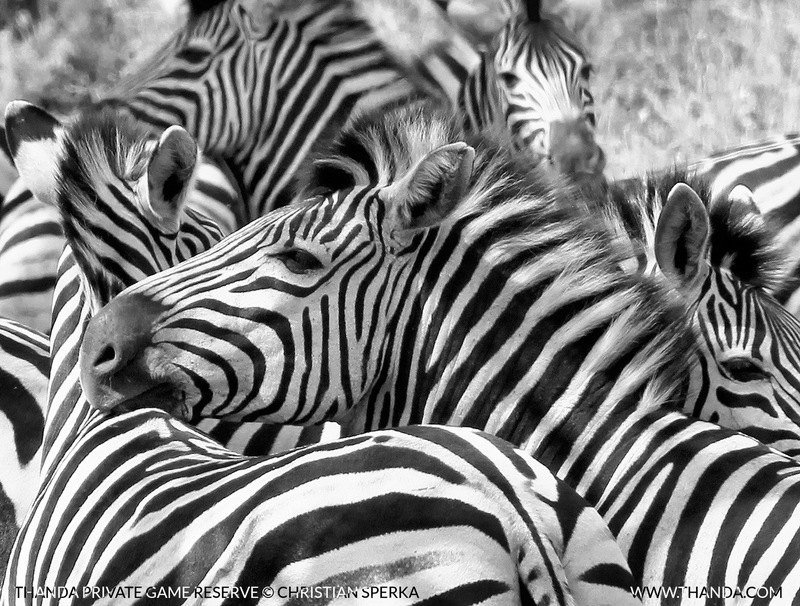 A group of Zebra is called a ‘Dazzle’. Looking at this picture of a’ Thanda Dazzle’ shows why! The striping pattern of the zebra is unique among ungulates. One suggested function for the stripes is that they affect a predator’s judgement of the zebra’s size, distance and what direction it is going in. A related hypothesis is that the stripes make it difficult for a predator to single out and learn about on an individual during a chase. ← Hip hip Hooray! Thanda is celebrating A Decade of Love.